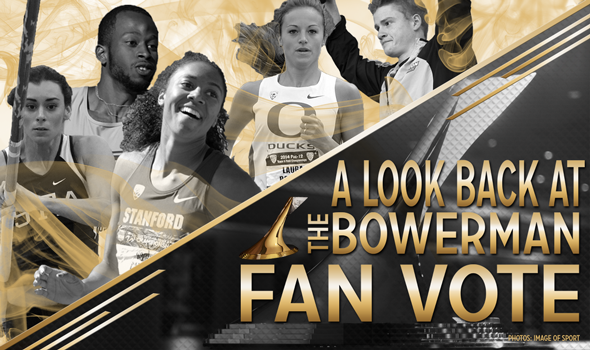 The Bowerman fan vote neared its midpoint today. Fan voting opened Thursday, June 22 and will run through Friday, June 30. We thought it would be prudent to look back over the past five years of the fan vote. If you want to know more about this year’s finalists, you’re in luck. CLICK HERE to read more about the men’s finalists. CLICK HERE to read more about the women’s finalists.